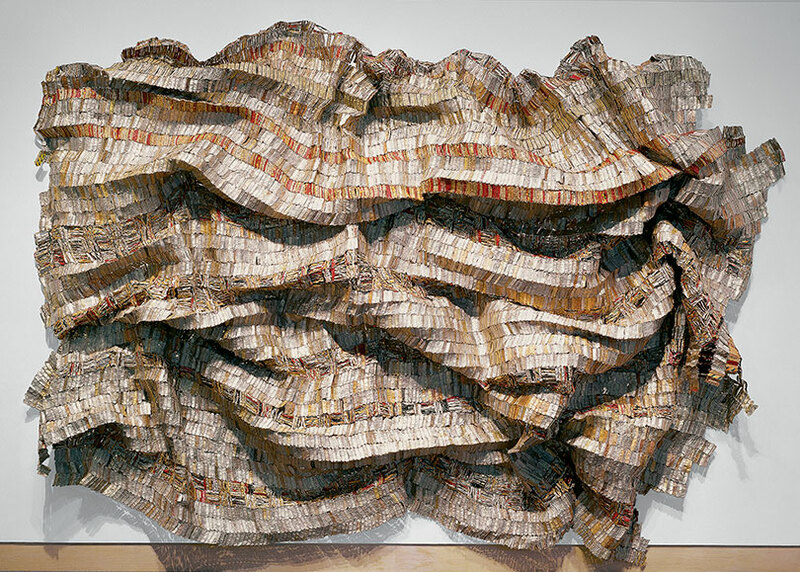 Anatsui, El (African, b. 1944). Hovor, 2003. Aluminum and copper wire. 12 feet x 16 feet 9 inches x 26 inches. Hood Museum of Art, Dartmouth College, Hanover, NH; Purchased through gifts from the Lathrop Fellows.